Hurry over to Amazon.com where today only you can snag 40% or more off Puma Athletic shoes for women, men and kids! 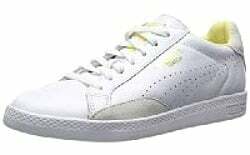 You can pick up this PUMA Women’s Match Lo Basic Sports Shoe for just $34.99 (regularly $65.00) with FREE Super Saver Shipping! Guys can score this Puma Men’s Ignite Select Kurim Running Shoe which is only $69.99 (regularly $150.00) with FREE shipping! Go on over to see the complete list of Puma athletic shoes on sale today only and grab your favorites.